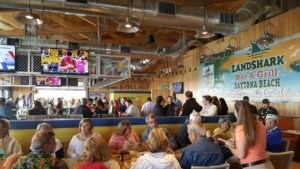 Today Cocina 214, a famed Tex-Mex restaurant, and LandShark Bar & Grill opened their beachfront doors to the public in the heart of Daytona Beach. Cocina 214 is a contemporary Mexican and Tex-Mex kitchen with authentic dishes that combine bold flavors and the freshest local ingredients – all served up in a vibrant, elegant and fun setting. Next door, LandShark offers a beach joint experience, delicious American food, generous drinks and exciting coastal music. 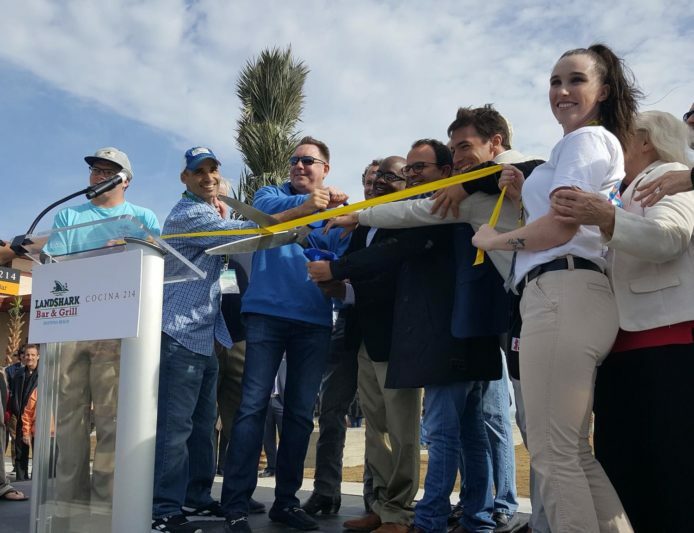 Local delegates, including Mayor Derrick Henry, and President & CEO of the Daytona Regional Chamber of Commerce Nancy Keefer, as well as executives from Cocina 214 and LandShark joined excited members of the Daytona community for a ceremonial ribbon cutting. Following the monumental moment, guests headed inside to enjoy lively music and entertainment, savory dishes and delights and delicious beverages. Cocina 214 first opened its doors in May of 2011 in Winter Park, Florida, and after years of catering to many locals, visitors and connoisseurs in Central Florida, it was time to expand and bring the beloved brand and its flavors to a new audience in Daytona Beach. Guests will discover fresh and made-from-scratch dishes, including homemade tortillas, eclectic salsas, unique sauces, savory tacos, fiery fajitas and famous signature margaritas. Its edgy-yet-approachable family-friendly environment and outstanding cuisine will uniquely position Cocina 214 as a perfect dining destination in Daytona Beach. 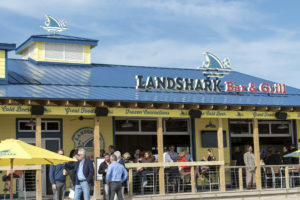 LandShark Bar & Grill is a full-service restaurant and bar with additional locations in Atlantic City, N.J., Myrtle Beach, S.C., Biloxi, Miss., Gatlinburg, Tenn., Hollywood Beach, Fla. and Harvest Caye, Placenia, Belize. The menu proudly serves up American beach food with refreshing and cold LandShark drafts and fabulous frozen concoctions. The new venue includes indoor seating, as well as a tropical outdoor bar, featuring beachside seating and fire pits, a stage for local musicians to play, and plenty of umbrella-covered seating with ocean views. Both restaurants are located at 451 S. Atlantic Avenue, Daytona Beach, 32118.